Winner of multiple ®Emmy Awards and nominations for his music, John has performed on five continents, before every U.S. president since Ronald Reagan and regaled numerous world leaders including the former King Hussein of Jordan and Chancellor Mikhail Gorbachev of the Soviet Union. In mainstream genres, John has worked with several ®Oscar and ®Grammy-Award Winning artists, including Aretha Franklin, Whitney Houston and Jamie Foxx to name a few. A concert review in the Washington Post described his last commission entitled, “Portraits of A Theme” Overture for Orchestra at The John F. Kennedy Center for the Performing Arts Concert Hall as having ‘iridescent colors in the world premiere of a beautifully crafted suite’ while Marvin Hamlisch congratulates the conclusion of the work by commenting ‘… with a name like Wineglass, it had to be good.’ This work saw its subsequent west coast premiere last fall 2011 in Los Angeles. John received his Bachelor of Music degree in Music Composition with a minor in Viola Performance at The American University and later received his Master’s degree in Music Composition: Film Scoring for Motion Pictures, Television and Multi-Media at New York University, studying with Justin Dello-Joio of the Julliard School. 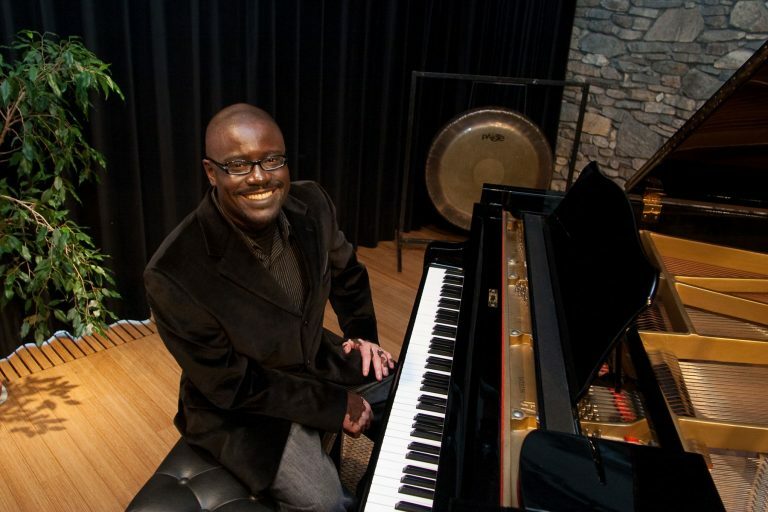 His passion for music has also led him to develop proficiency as a gospel and contemporary jazz pianist. He has written several scores for shows on MSNBC, CNN, NBC, CBS and ABC as well as documentaries on Headliners & Legends with Matt Lauer for The Brady Bunch, Kathy Lee Gifford and Farrah Fawcett. Having scored mainly independent films and documentaries, several of his nationally syndicated commercials include music for the United States Army, American Red Cross and Texaco. As a recipient of three (two consecutive) ®Daytime Emmy Awards for Outstanding Achievement in Music Direction and Composition for a Drama Series , and three ASCAP Film and Television Music Awards , Mr. Wineglass holds seven ®EMMY nominations to date. LEARN ABOUT JOHN'S "THE SIGHTS AND SOUNDS OF STOCKTON," WHICH DEBUTED SEPTEMBER 22 AT STOCKTON SYMPHONY SEASON OPENER! : https://stocktonsymphony.org/concerts/2018-2019-season/.